What a brilliant recording, sounds absolutely superb! My wife bought me this album yesterday from Musica. Of almost all the new pressings I have bought from Musica of late this 40th aniversary re-release is one of the best sounding. I must say I have bought some horrible new pressings but this one is great! 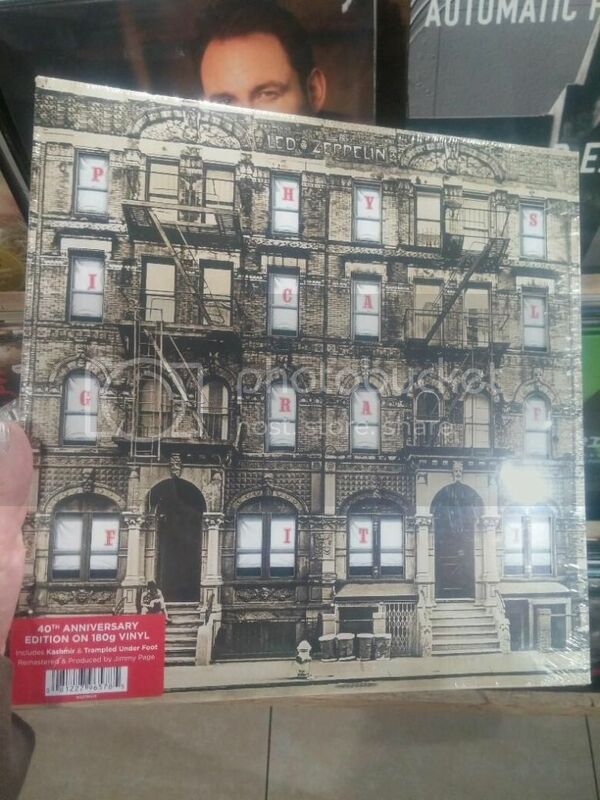 Does anyone have a copy of Led Zeppelin - Remasters? The 1990 one. How does it sound? ^ Poor (faded) cover print didn't look promising, but I can confirm that "Legacy Vinyl" 180g Miles Davis "Kind of Blue" vinyl pressing is top notch. EXCELLENT, one of the best I have. I've had good luck with Rudi van Gelder jazz recording, re-released on 'Prestige' ... really excellent some of the finest I have ... they are mostly mono, btw, although as much is often not stated on the sleeve ... I have original 'London Jazz' pressings (i.e. Decca's early jazz label), and I honestly think the new Prestige pressing compare favorably! I love the RvG sound - especially the way he captures brass instruments - recording piano was not exactly his strong suit IMO. But I reckon modern engineers need to revisit these records to hear what was being achieved back then. Far more natural sound than many a modern recording. Perla - 'Confidencias' -RCA Victor 1982 pressing. Amazing vocalist and is up there with Sade Diamond Life - Epic pressing 1984. Also..Carmina Burana...Telarc pressing is brilliant and is far better than the German Tulip pressing. Also really impressive and seemingly well mastered is Earth Wind & Fire "Gratitude" -live double album best recordings from their 2-year tour of the West & East Coast of USA 1974-1976. Phase 4 Decca recordings are also impressive. Spin these on a well tweaked idler drive and an amazing journey awaits. Sorry..forgot details on Earth Wind Fire...its CBS pressing...all tracks are brilliant..but "New World Symphony" on the second disc is mind blowingly awesome! Thanks for the info and feedback on the Gratitude album! Have wondered for years if this is a good buy. Bought Michael Jackson Off the wall from Takealot,excellent pressing but the amount of static on the record is unbelievable. Btw how do I post pics ?